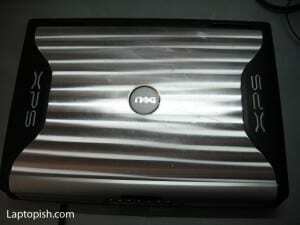 Here we have a DELL XPS M170 laptop with a bad graphic card. 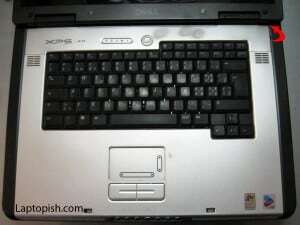 This laptop “once” was a good gaming laptop, bud now only thing we see is a black screen. 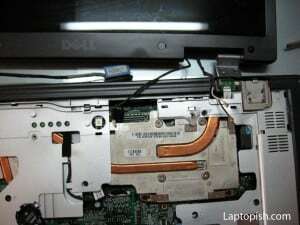 Now we need to disassemble the laptop and rework the graphic card. 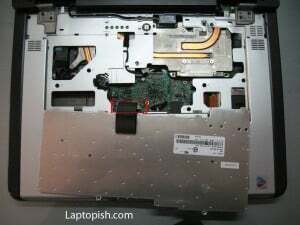 First remove the battery. On the previous picture the ram memories and the cover are removed. 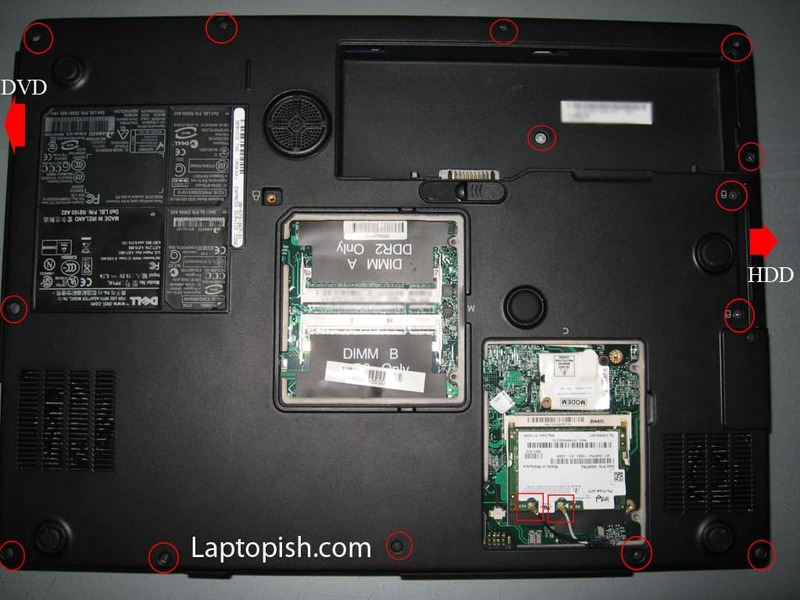 Next is to remove the screws assigned on the picture and remove that cover. Next we need to remove all screws from the bottom as assigned on the picture. 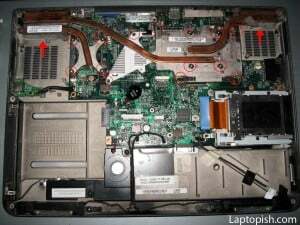 After removing the screws we can remove the hard disk drive and optical drive as assigned with the red arrows. 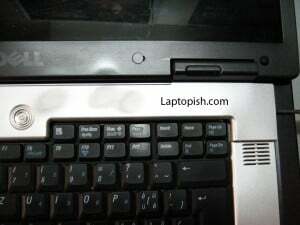 After this step, we continue with the top side of the laptop. 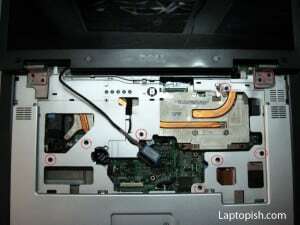 We remove the cover as assigned on the previous picture with the help of small screw driver as shown on the next picture. 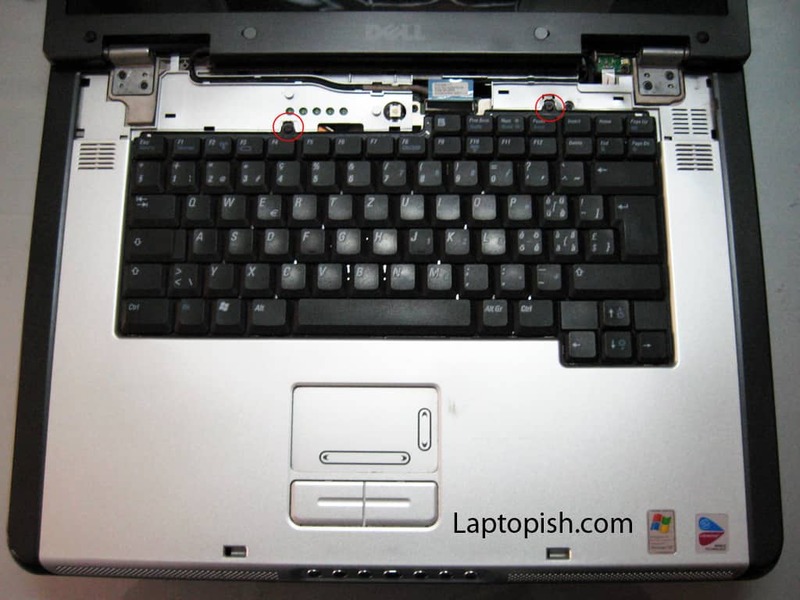 After this, there are two screws that need to be removed so how we can remove the keyboard. Be careful with the flat cable! 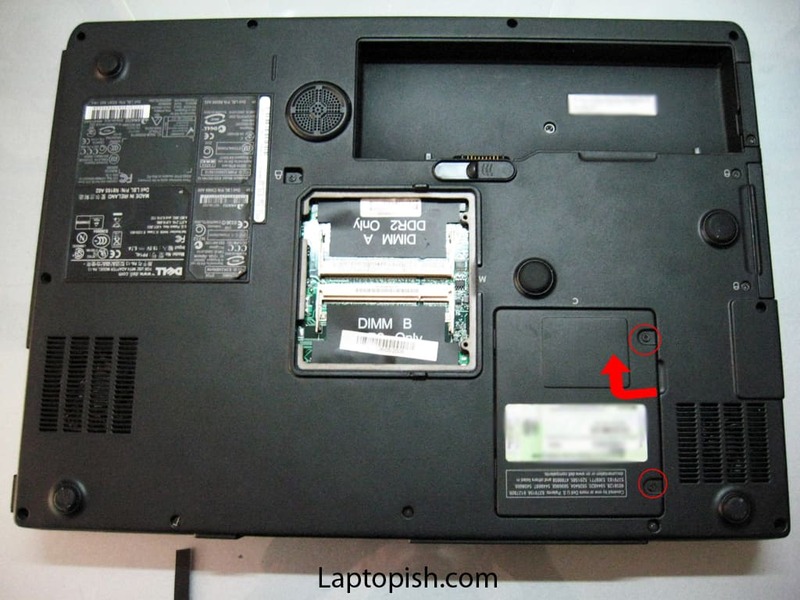 On the next picture is shown how to detach the flat cable. Next we detach the cables assigned on the picture, but we don’t remove the CMOS battery. 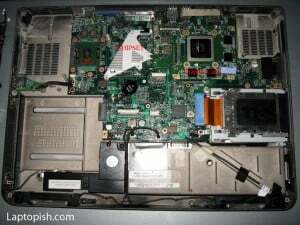 The former models of DELL and IBM have Administrator password on the BIOS, so if we remove the CMOS battery we will need to know this password. Because we don’t know it we leave the battery alone. 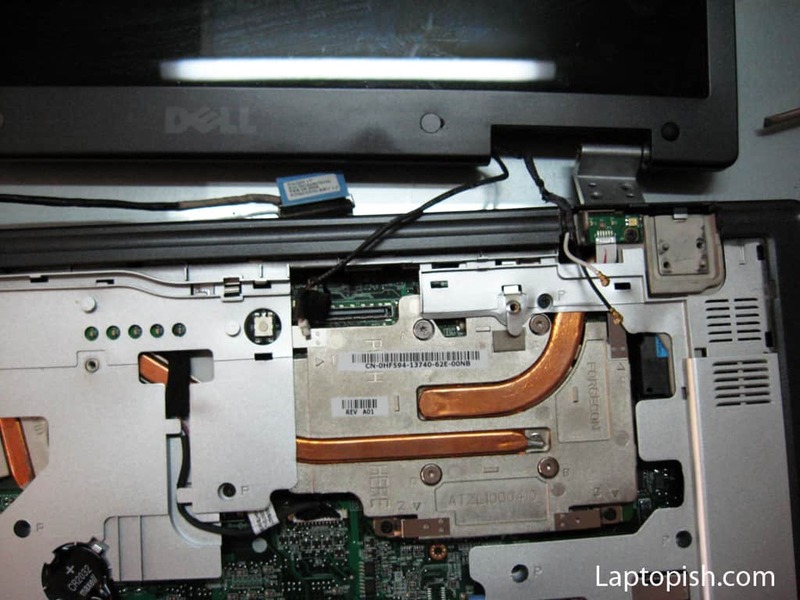 Next we remove the flat cable for the monitor and all the screws from the top. After this there are two more cables to remove and the display is completely detached. After this we can remove the top cover, and we have this situation. Next thing we do is removing the fans. With the red circles are assigned the screws that need to be removed, and with the red squares are assigned the cables that need to be detached. 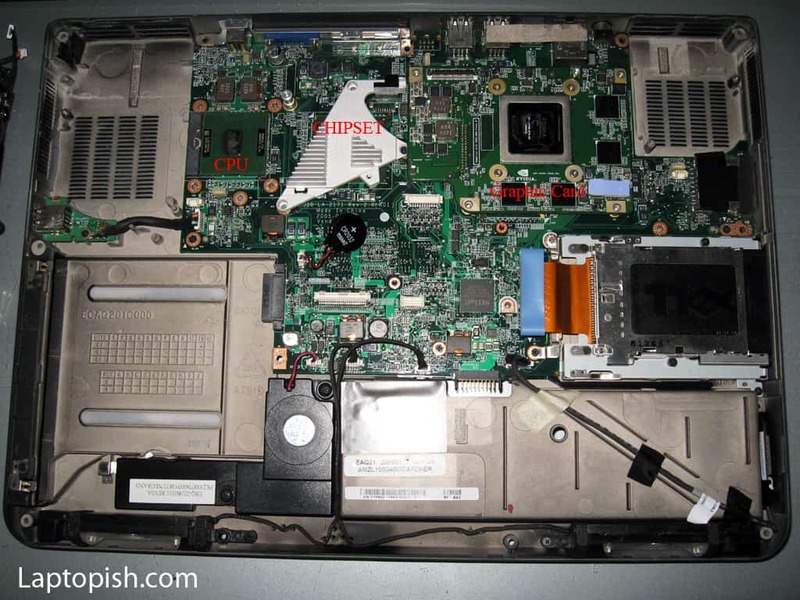 After that on the next picture we can see what is the cause of the overheated VGA chip. 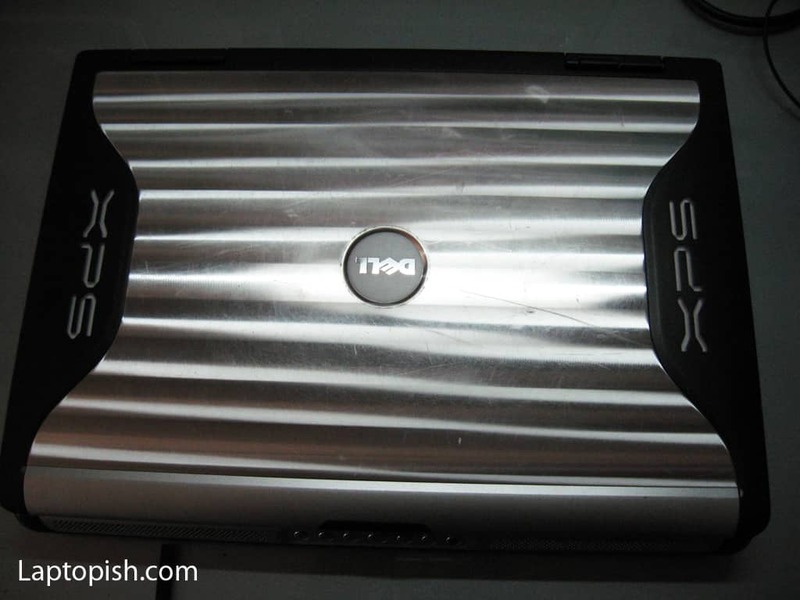 The coolers are full with dust and there is no air circulation. 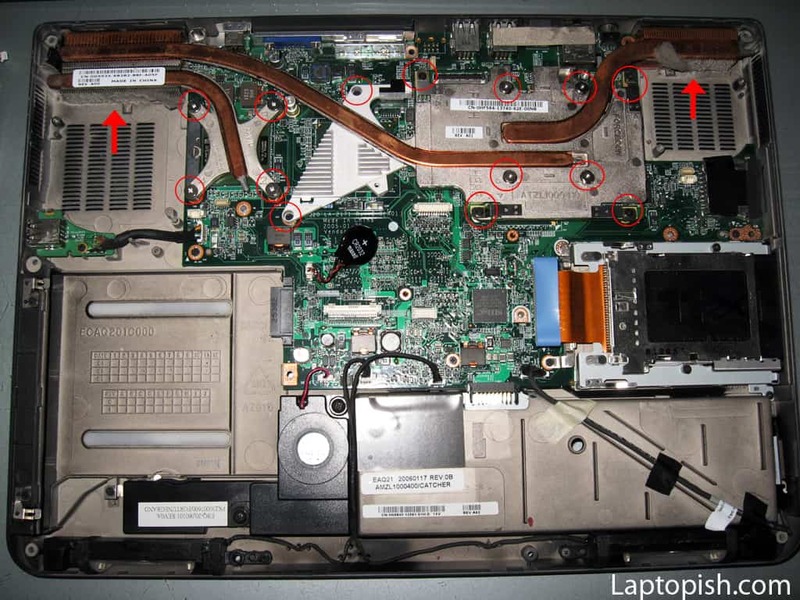 With the red circles are assigned the screws that need to be removed so how we can remove the coolers. After that we have this situation. Now we need to do a rework of the graphic card (assigned on the picture). We do a rework with a hot air smd rework station. 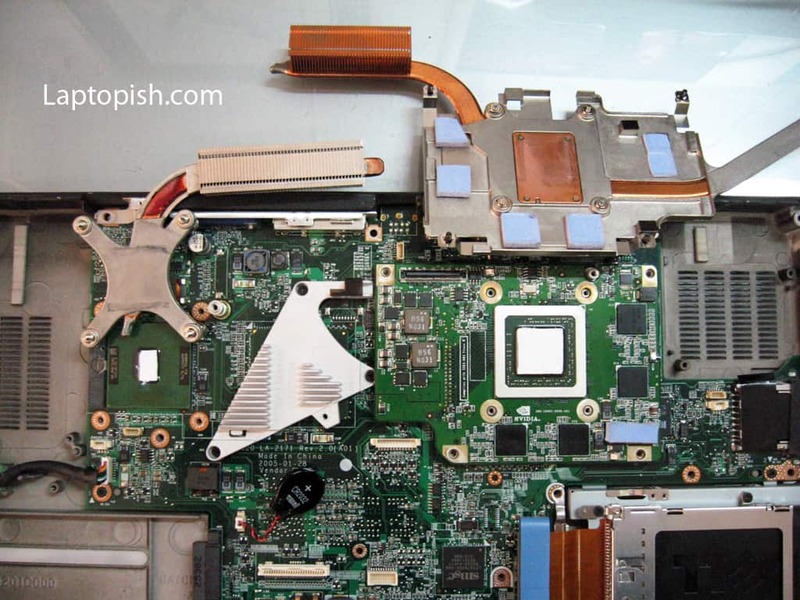 After the rework, until the chip is cooled down, we clean the coolers and apply thermal adhesive paste. 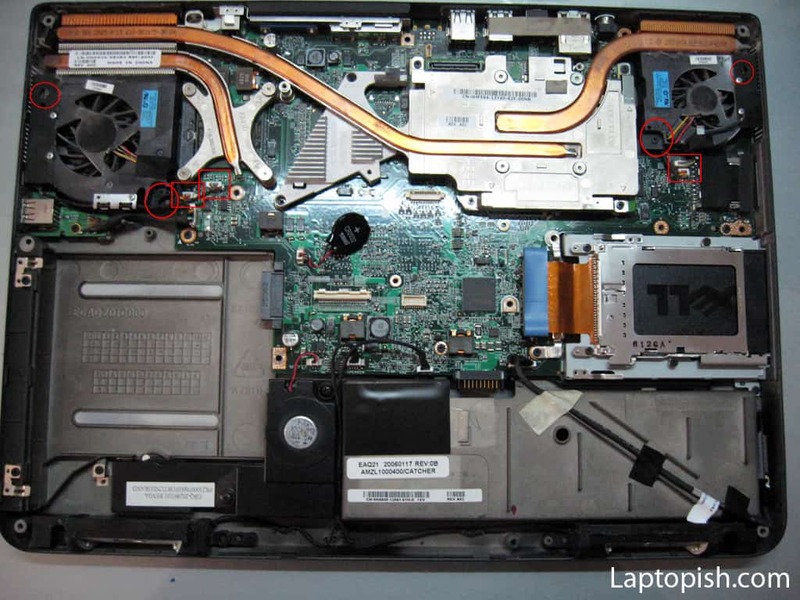 We mount the coolers and we assemble the laptop in the procedure backward of that we show here.